Ingram Micro has expanded managed print services (MPS) capabilities across the channel, driven by program enhancements designed to provide new bundled solutions to partners. The program now includes increased partner enablement resources, as well as a broader range of printer options paired with a supplies and services model to help partners deliver better value to end-users. Channel Asia understands that the roll-out is part of a global round of enhancements from the distribution giant, impacting markets across the world. “Whether a channel partner is exploring their options, launching a managed print service practice or overhauling an existing MPS offering in order to grow their recurring revenue model more quickly, Ingram Micro is ready to help speed their time to market and time to value,” said Mike Erwin, executive director of vendor management at Ingram Micro. According to Erwin, demand for MPS is rising among businesses, with Transparency Market Research forecasting the market to expand at a growth rate of 14.8 per cent through 2024. To capitalise on such an opportunity, Erwin said the new MPS program features bundled solutions from vendors all under “one simple monthly solution” that can be white-labeled and invoiced directly on the channel partners’ behalf. With a monthly service fee that is based on page count needs, service plan and printer type (mono, colour or MFP), Erwin said that the Ingram Micro program represents a “smart fit” for SMB customers, and is “simple to manage”. “Our new MPS solutions are an easy opportunity for channel partners to increase margins by attaching supplies to every single printer sale,” said Erwin. “We’ve expanded and simplified our program so it’s a one-stop shop for managed print solutions with everything sold under a single solution rather than a complicated set of products and services that our partners have to bundle and manage themselves. 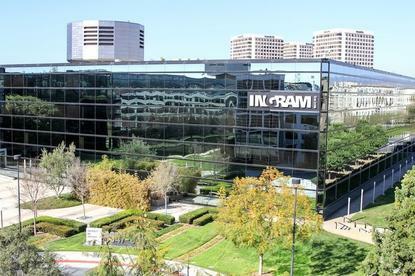 The roll-out comes less than two months after Ingram Micro unveiled a new independent software division designed to help service providers build, scale and monetise cloud and digital services.